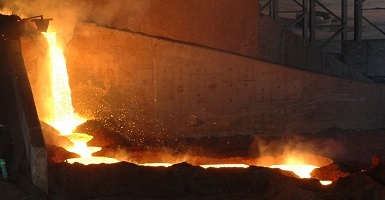 FurnStar is an extension of the industry-leading submerged-arc furnace controller Minstral, which is installed on over 100 furnaces in 9 countries. FurnStar extends Minstral’s capabilities beyond controlling electrode penetration and power input to the furnace, to include a number of submerged-arc electrode management and furnace control tools. The FurnStar suite of control modules utilises advanced process control to overcome design-related limitations and maximise furnace performance. This modular approach ensures the design of a customised solution, specific to the objectives of each plant. Furthermore, this approach allows for phased implementations which are useful both in assessing the benefit of the system, and in allowing plant personnel to be introduced gradually to any changes in operation (Change-Management). Lower specific energy consumption (MWh/ton). 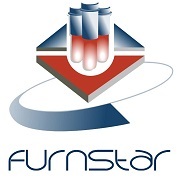 Click here to view and download the FurnStar brochure. FurnStar uses calculated electrode-to-bath resistances to control the penetration of the individual electrodes. Primary measurements are used in the resistance calculation to improve accuracy, as opposed to using inaccurate and unreliable secondary measurements. No hearth connection is necessary. 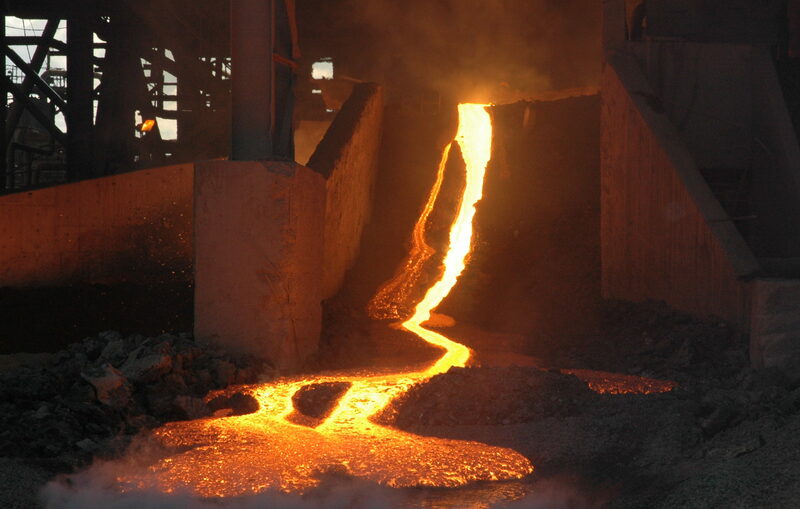 Using the accurate calculation of the furnace load, Minstral is able to predict alternative operating points in real-time. This predictive power control strategy ensures that the furnace is operated at its optimum under all operating conditions, within the limitations of the furnace circuitry. In addition, there is the option of differentially tapping the furnace transformers to provide even tighter control and compensation for unbalanced loads. The FurnStar Slipping Scheduler is aimed at replacing the inaccurate and unreliable manual techniques with an accurate, dynamic, and flexible automated system. The FurnStar Slipping Scheduler comprises an industrialised slip measurement device – the “Slipmeter”, an electrode length estimator, and the scheduler itself. The slipping rate is automatically adjusted by considering electrode position, length and baking current. Fundamental to the FurnStar Slipping Scheduler is an accurate and reliable measure of slip provided by the Slipmeter. The Slipmeter has a rugged design for operation in the harsh environment at the electrode slip rings, has electrical and mechanical isolation, and vibration damping and compensation. The Electrode Length Estimator uses the actual slip provided by the Slipmeter together with electrode consumption estimates to deduce the electrode length. The electrode consumption can be linked to a number of factors which are monitored and accounted for continuously. The Electrode Length Estimator has the facility to back-calculate and correct consumption rates based on actual electrode measurements if and when these are taken. Taking the electrode baking level into account, the Scheduler manipulates the slipping rates (within a permitted range) to achieve the desired electrode length and electrode holder position. The Scheduler has a number of modes of operation, from merely prompting the operator to slip the electrode at the appropriate times, to controlling the electrode slipping completely. The FurnStar Electrode Baking facility controls the electrode current through the electrode after long slips are taken to ensure proper baking of the electrode, and after long shutdowns to prevent thermal shock to the electrodes. Customisable libraries of electrode baking and recovery (warm-up) profiles form the basis of the FurnStar Electrode Baking module. If a slip measurement is available, the module can automatically select and begin the appropriate baking schedule when a long slip is taken (otherwise the operator can initiate the profile). The FurnStar Baking Controller can be configured to dynamically compensate for baking currents less than those required by the baking profile to ensure that electrode is baked properly. FurnStar Roses is a real-time, on-line electrode temperature and stress profile simulator that uses finite element analysis of the current and heat flow distributions within the electrode to simulate the temperature profile as well as thermal and mechanical stresses within the electrode. The model uses online measurements of the electrode slip and boundary temperatures to ensure accuracy. The FurnStar Power Optimiser is the next-generation power controller that provides improved control and increased flexibility in terms of the objectives of the controller. The Power Optimiser is based on an objective function in which different weightings can be placed on the various parameters, such as power input and current asymmetry (unbalance). The FurnStar Resistance Optimiser continuously monitors changes in operating conditions and adjusts the resistance setpoint appropriately to ensure that the optimum electrical operating point is maintained. The Resistance Optimiser is most suited to furnaces where the furnace transformer(s) are often operated on maximum tap position(s), or where the furnace is operated close to electrode current and transformer MVA limits. FurnStar Charming provides a dynamic display of the furnace characteristic curves, and has been developed to present furnace operating personnel with a visual representation of the operating point of the furnace.